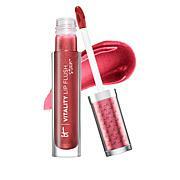 What it is Vitality Lip Flush Butter Glosses are the crème-de-la-crème of lip glosses! The formulation delivers high shine and rich pigment that glides on like a lightweight serum that instantly hydrates, repairs and protects lips. This truly innovative formula drenches your lips in butters and oils that work together to treat, hydrate, condition, and nourish your lips, minimizing the appearance of lip lines! 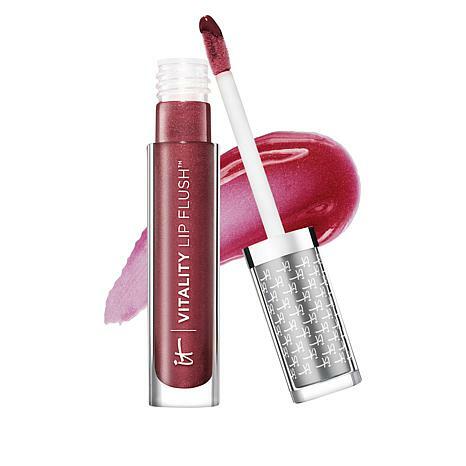 Plus Vitality Lip Flush Butter Glosses are packed with anti-aging peptides, hyaluronic acid, collagen, and anti-oxidants including Vitamins A, C, E, Acai, Green Tea and White Tea to protect and ward off free-radicals all day long. This Made in the USA formula is paraben-free. What you get IT Cosmetics Vitality Lip Flush Butter Gloss 0.11 oz in Ruby Slippers What it does Vitality Lip Flush Butter Glosses are a super- hydrating lip glosses, infused with butters, oils and an anti-aging lip serum all in one! The formulation delivers high shine and rich pigment that glides on like a lightweight serum that instantly hydrates, repairs and protects lips. 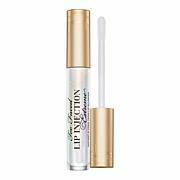 This truly innovative formula drenches your lips in Collagen, Hyaluronic Acid, Peptides, Plum Oil, Cherry Oil, Shea Butter, Avocado Oil, Argan Oil and Jojoba which work together to treat, hydrate, condition, and nourish your lips, minimizing the appearance of lip lines and wrinkles! Plus Vitality Lip Butter Gloss is packed with anti-aging anti-oxidants including Vitamins A, C, E, Acai, Green Tea and White Tea to protect and ward off free-radicals all day long. This Made in the USA formula is paraben-free. How to use Apply gloss directly to lips. 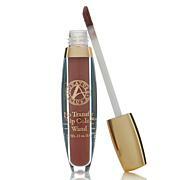 I find this to be rich but not sticky, IT cosmetics are a treat for your eyes, lips, skin & reflection.